Are you melting in hot Athens? Either due to obligations or by choice? Not for too long. We have some ideas and suggestions for you to view Athens differently, to recognize its beauty in August and to love it as much as we do. 1. Do you want to spend your time on a terrace? You can in August. Beautiful views, good music, and cocktails. Some suggestions from us to have a little fun. Hidden quite well, but full of surprises. Excellent music and also great cocktails. A terrace that looks like a beach bar, overlooking Lycabettus, with special drinks. A unique bar, with beautiful people and thoughtful decoration. Do you want details and tips? 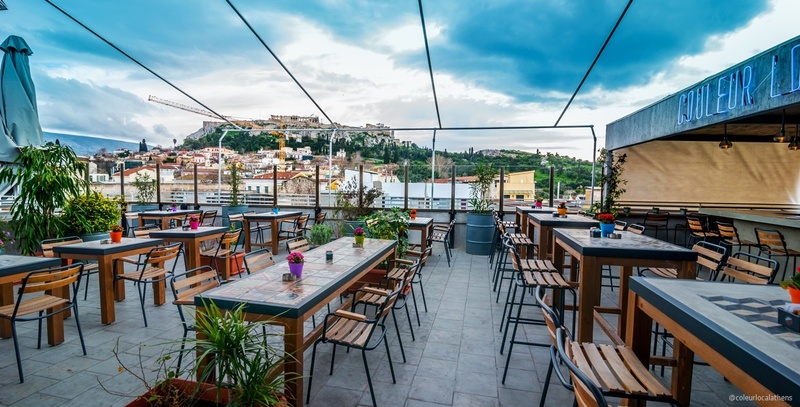 Check out an original tour guide with the 10 most beautiful rooftops of Athens and what is worth trying but that’s not all! Learn interesting stories about the “nightlife” in Ancient Athens and how it relates to the nightlife of Athens today! 2. Do you think that because you are in Athens, in the middle of summer, you can not feel the island’s carefreeness? You’re wrong! There are festivals to celebrate the 15 of August in Attica too! 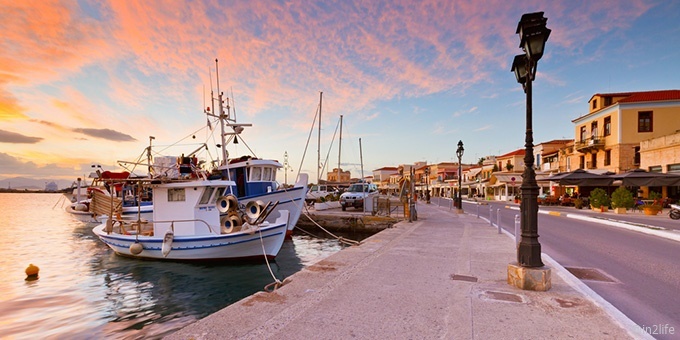 Maroussi, Kolonos, Hassia and Porto Rafti are waiting for you to have a wonderful night. Wine, music, and dancing. 3. Are you looking for the feel of the sea? Us too! We have a few cool solutions to enjoy your summer. Schinias, Vouliagmeni Coast, Varkiza, Anavyssos, Porto Rafti. Access can be made by car, by public transport or by the Attiki Ktel. Get your hat and sunscreen and we’ll see you there! 4. Do not forget that a bit of culture is always a good idea to take a break and broaden your horizons. So in August, there are plenty of places you can visit and admire, combining with your walk. 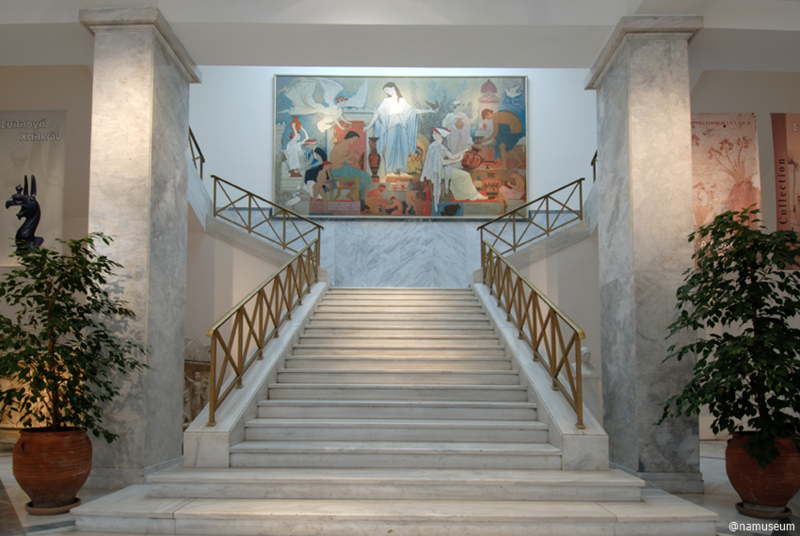 For example, the National Archaeological Museum (Patision 44), the Acropolis Museum (Dionysiou Areopagitou 15) and the Museum of Cycladic Art (Neophytou Douka 4). There are also a lot of interesting events happening in museums and archaeological sites for the August full moon. Magical views, dreamy scenery, free admission, do not miss it. Stay tuned for a detailed blog about it. 5. For the end, we left some nearby destinations from Athens, which you can visit throughout the summer. Aegina, Tzia, Hydra, Spetses, Poros, Andros, Nafplio. Unique places with unique beauties. Take a backpack with the necessities (swimsuit, sunscreen, mosquito repellent) and leave! One last thing, Clio Muse team answers..
What does summer in the city mean to you? – Kostas: Music from all over the world, laughter, joy, hanging out with friends by the sea and having a bonfire on the beach with a souvlaki in the left hand and a beer in the right. – Andrew: Summer in the city is to wake up at 8:00 on the 15th of August to open the shutters and see the completely empty streets, as if everyone had to rush somewhere and they will come back, to enjoy the silence of the road. Summer is these 4 days that everyone leaves and the city looks calmer and more restful as if it is on its own vacation. – John: From late afternoon to dawn on a terrace, in Kypseli or P. Faliro, with drinks, music, parties, dancing, and love. -Daphne: Relaxed evening walks ending in summer bars on the street, drinking a glass of wine with friends and pleasant music. – Fotis: In the summer, most of Athens’ permanent residents leave to go to other places, so the city changes. The transport is more comfortable, the summer feeling embraces the city, so as its fast pace is slowing down and you enjoy it more. I love walking in the evenings of August in the city and admiring the view of the Acropolis drinking a cocktail in the hanging bars of Athens. – George: Friends, rest, all-nighters, heat, work, walks in the center, apnea, air conditioning, more heat, cool showers, drinks, tour of the city to friends, concerts, loneliness, terraces, discussions on cultural appropriation and pop music, daytime bustle, relaxed mood, flirting, white noise at night, still a little heat, movies, reading, friends. – Maria: What is better than a relaxing stroll around the Acropolis in the evening after a busy day at work? Plaka and Anafiotika, with their narrow streets, exude a romantic atmosphere from another era. The smells of flowers and fragrances travel with the breeze and meet you at every step. 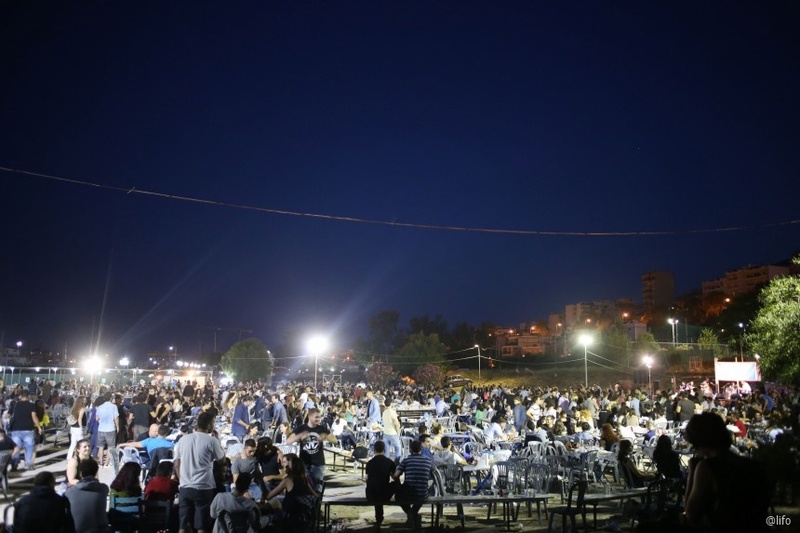 Ideally, the evening ends in one of the many and great outdoor cinemas of the center. Alternatively, you end up with a delightfully refreshing cocktail on a terrace overlooking the Acropolis with loved ones. Without having to think about it too much, the thing I’m looking for the most in the summer is the program of the artistic events of the Odeon of Herodes Atticus, the Athens Festival and the individual festivals of the municipalities of Attica. As for the August full moon, I love to enjoy it by the sea, on a bench in the Flisvos Marine. 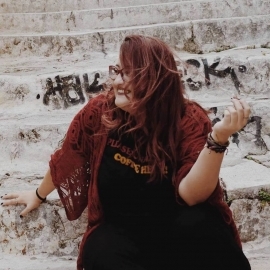 – Ioanna: Sleeping with open shutters, voices coming from the teenagers who stand on the bench until 3 am and a feeling that you are left alone in an entire block of flats. Everything gets better with milkshake and popcorn in an open-air cinema.